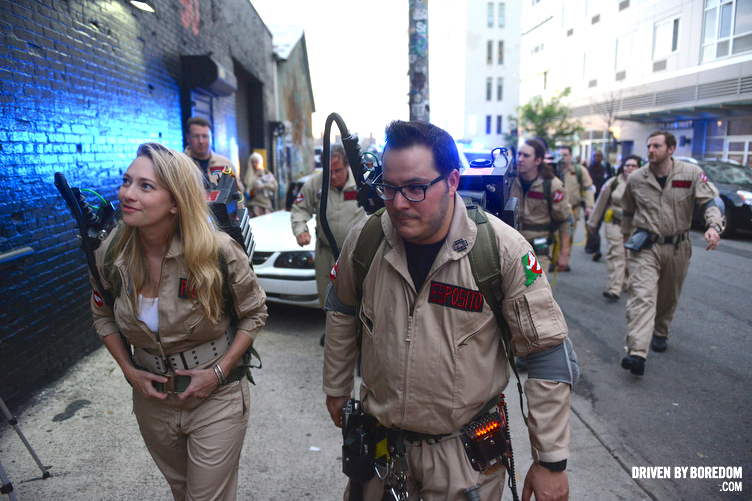 Yesterday my friends at BBQ Films started promotion on their newest interactive film event: the original Ghostbusters! They will be screening the film over the course of three days in early June (8th, 9th and 10th) at Villain NYC and it will undoubtably be amazing. I have been involved with BBQ Films since I had a chance to check out their screening of Teenage Mutant Ninja Turtles and since then I have been to three more of their events and they have all been completely over the top and insane even if I don’t care about the movie (sorry Blade). At the Empire Records screening I had my head shaved by Empire Records star Ethan Embry… you can’t get much more interactive than that. BBQ Films needed help filming a trailer for the upcoming event so they put some sort of Ghost signal out to chapters of Ghostbusters from around the country. 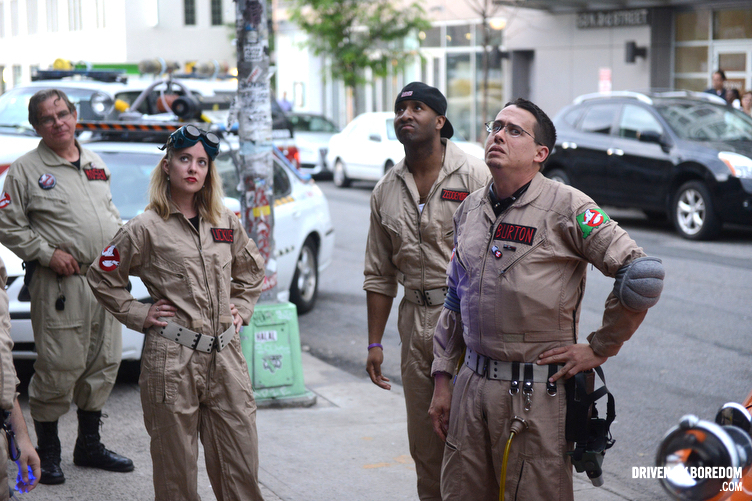 Ghostbusters from NYC, Jersey and PA came out to help film the trailer. 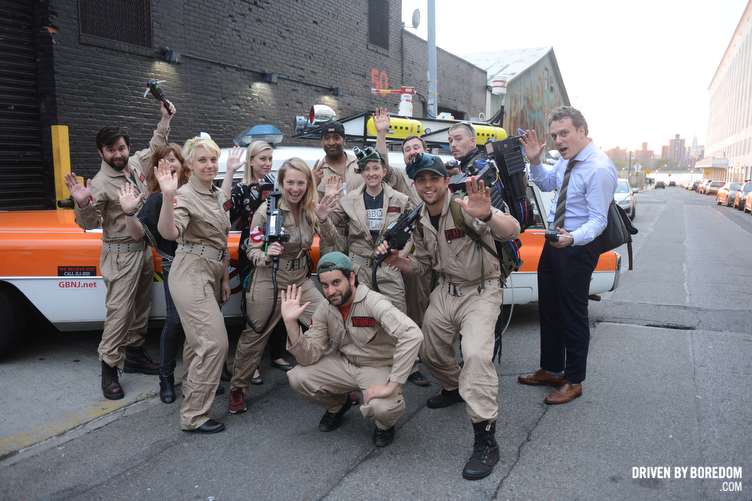 I came out to photograph some of behind the scenes fun and party with ghosts. We started out at the bar The Levee in Brooklyn and then made our way over to Villain NYC where the event is going to take place. 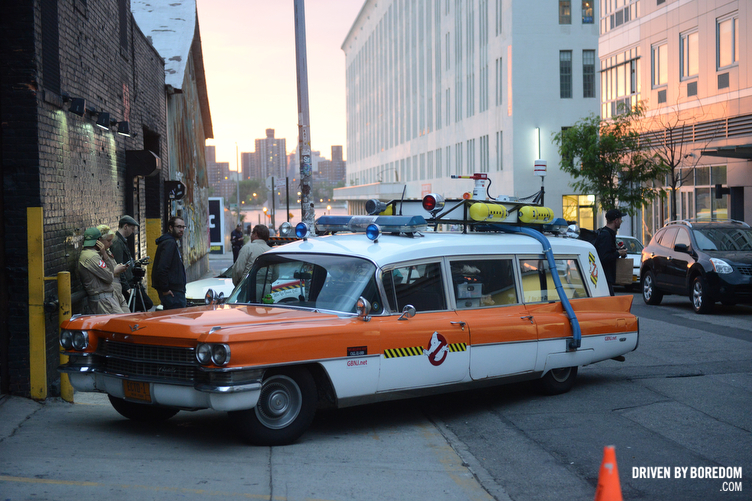 We had a bunch of insane Ghostbusters vehicles with us and several Slimers. It was a good look. We ended back at the Levee once it got too dark to film. 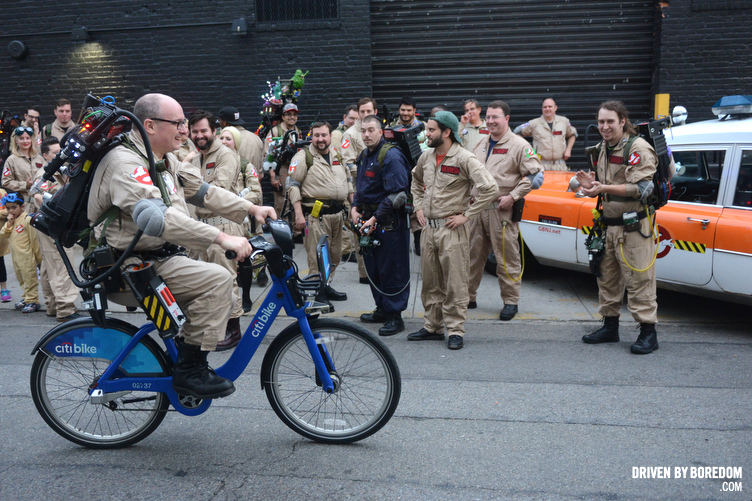 All and all a fun time with some serious Ghostbuster nerds (and I mean that in the best possible way). 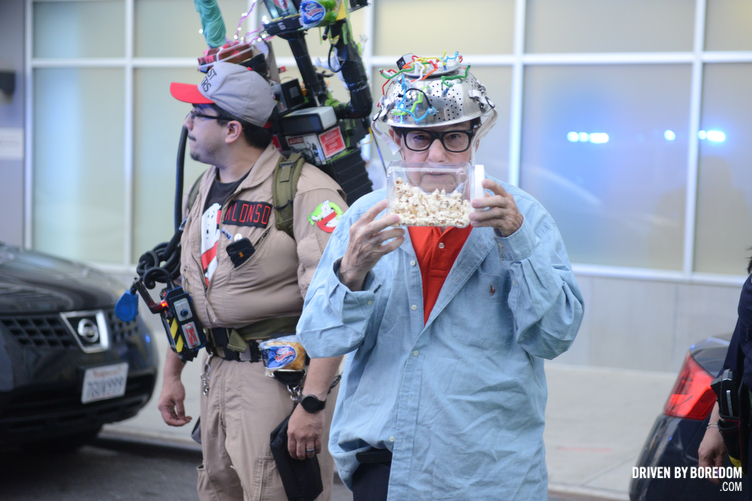 So check out these photos and get your ticket to BBQ’s Ghostbusters screening. You will not regret it. 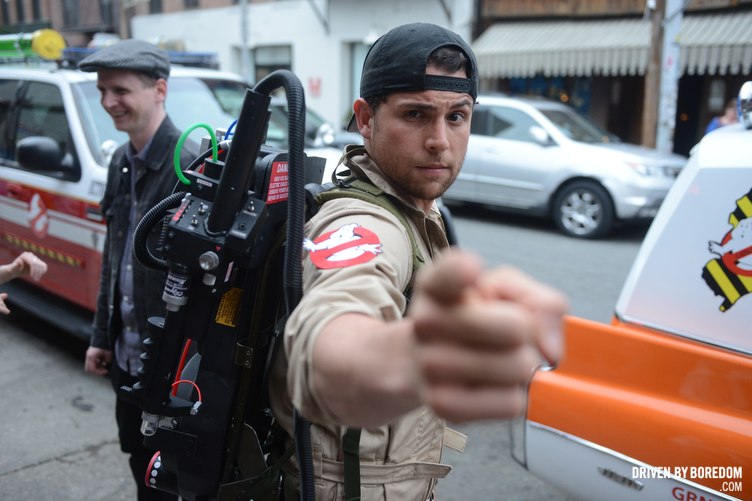 Click here to see our Ghostbustin’ adventures with BBQ Films in Brooklyn.